Abbott Diabetes Care is continually developing new and innovative products to reduce the discomfort and inconvenience of blood glucose testing. 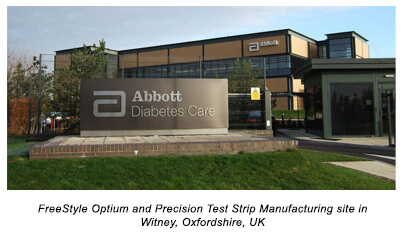 Abbott Diabetes Care designs, develops and manufactures several leading-edge glucose monitoring systems and test strips for use in both the home and hospital settings. The FreeStyle butterfly symbolises hope and renewal, and now it is the inspiration for FreeStyle brand. Lively and carefree, butterflies first find their wings after a time of great personal change. They learn their lives are different now. The comforts of one way of life are behind them, they learn to fly, and they are not alone. This transformation is much like the kind made by everyone who finds the courage to live life to the fullest while dealing with diabetes. The FreeStyle butterfly reflects this desire as well as our commitment to you. Through our products and services, we partner with you and your healthcare team to help bring you a sense of personal progress, so you can reach new heights and get more out of life than you ever thought possible. 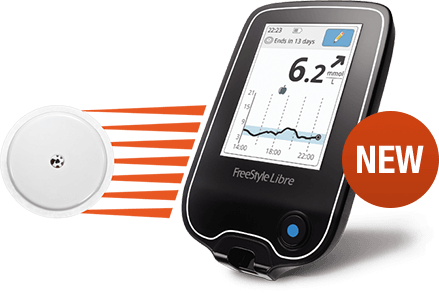 Abbott entered the blood glucose monitoring marketplace with the acquisition of MediSense in 1996. In April 2004, Abbott announced it had completed the acquisition of TheraSense, a leader in developing blood glucose self-monitoring devices that require very small blood samples to deliver rapid test results, Virtually Pain-Free. 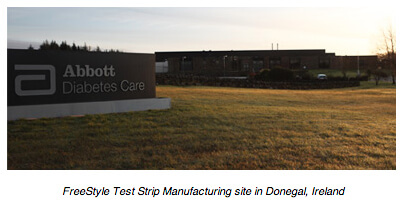 The TheraSense acquisition strengthened Abbott's position in the large and growing blood glucose monitoring market. Abbott is a global, broad-based health care company devoted to the discovery, development, manufacture and marketing of pharmaceuticals and medical products, including nutritionals, devices and diagnostics. The company employs more than 70,000 people and markets its products in more than 150 countries. Abbott Laboratories is a leading global health care company. Learn about Abbott products, leadership, global citizenship, career opportunities, and more.